TimeZone : Public Forum » N E W M o d e l - Oris Divers Sixty-Five "Clean Up Day"
This year, on September 14-15, Oris will continue its stated mission to behave in a socially and ecologically responsible way and to promote sustainability and sustainable causes by taking part in World Clean-Up Day 2018. This global event sees people all over the world gathering to clear man-made waste from nature. 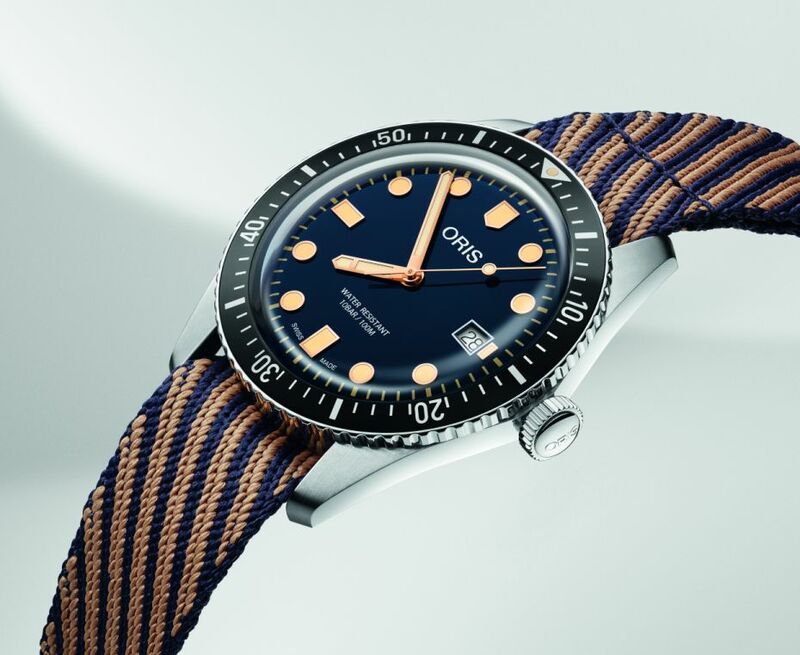 Oris is also committed to recycling plastic before it ends up in nature. 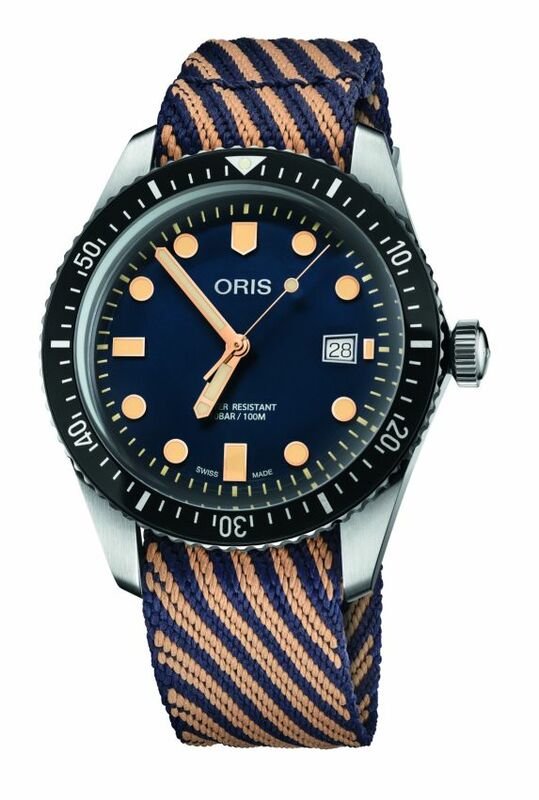 In recent years Oris has partnered with a number of non-profit organisations with a vision to conserve the Earth's oceans. 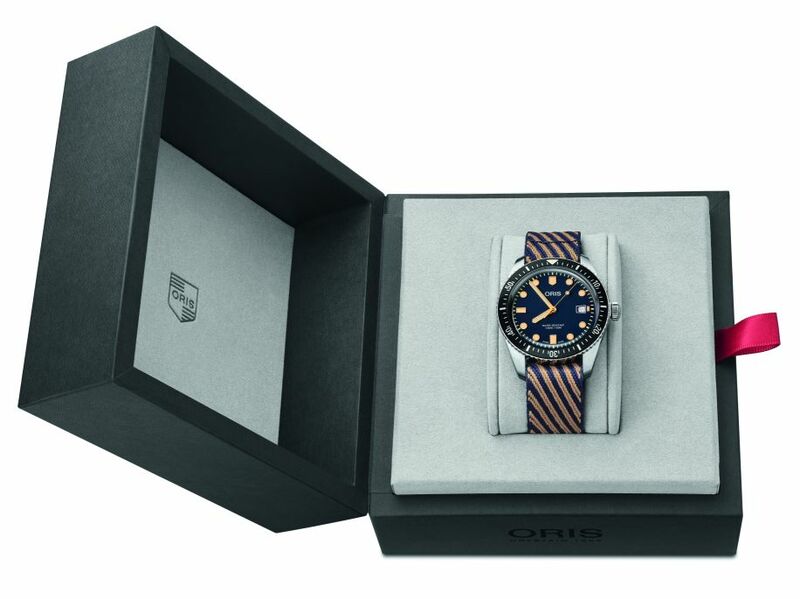 To coincide with its participation in World Clean-Up Day 2018, Oris is introducing a Divers Sixty-Five on a strap made of recycled plastic. The case, in stainless steel, measures 42mm. Unidirectional bezel with aluminium insert. It has a domed AR-coated sapphire crystal and it is water resistant to 100 meters. Movement is the Swiss automatic Oris caliber 733 (base Sellita SW200-1) with 26 jewels, 28,800 vph and a power reserve of 38 hours. Functions are: hours, minutes, seconds, and date. It has a dark blue dial with SuperLuminova "Light Old Radium" hands and indices. 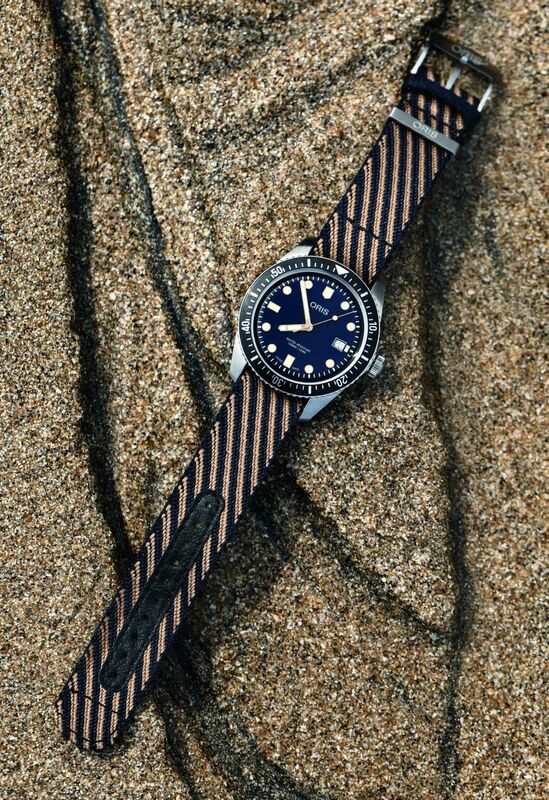 It comes on a blue and beige weave strap made of 100 percent r-Radyarn recycled plastic, and a steel buckle. MSRP is 2,000 Swiss Francs. Available from mid-September.